Previously we have learnt how to properly use JSX, and how React components communicate with each other. Yet, we still didn't cover another very important question: where to store information that our application cares about. 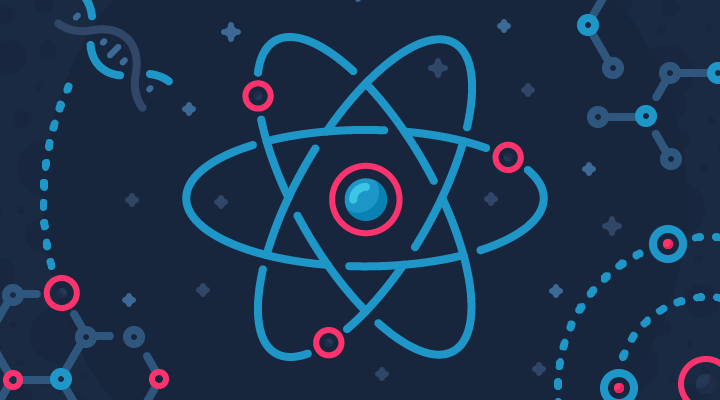 Today we're talking about application state management in React. There are a lot of ways to handle application state but first, let's take a look at the simplest one - components' state. Keep in mind that you should define a default value for each of the state attributes you will use in the component, even if the initial value is undefined. What should I store in components' state? There is a debate on when to use components' state, and when to move to a bit more advanced approach: many developers in the past were forcing the philosophy that you shouldn't use this.state at all, but you should keep everything in the globally accessible state (i.e. redux state - which will be mentioned a bit later), even if it's just a simple toggle used for conditional rendering. However, there is no point in keeping a value in the redux state if it is only used inside this one component; and if the application that is being developed is pretty simple, there's no need to introduce yet another dependency like a separate library for state management. In the beginning, when learning React, it's better to stick to using this.state, as it doesn't require diving into yet another library. React components' state is asynchronously updated. You will use this.setState function to update your state. However, there is a thing to always keep in mind: you shouldn't use setState two times in a row when one setState depends on the previous one, due to its' asynchronous nature. Using functional setState is the best way to use setState. The state shouldn't be mutated. This applies both to simple components' state and some bit more advanced ones, like third-party redux state. Components' state should only be changed by using setState function. While you can just use this.state.disabled = true, it won't trigger rerendering of the component. There is no prevention of mutating items kept in the state, so you have to care about not mutating them yourself. So far we've covered React components' state and its' three basic concepts: it's immutable, asynchronous and local. It is a quick way to handle storing information in simple apps, but also for local variables that should be accessed from multiple places inside a components' instance, even in really big and complex applications. However, for more complex applications, for components that are too dependent on each others' state, and for better handling of the data used by an application, there are third-party libraries like Redux, Flux, CerebralJS and many other, which provide more advanced ways to handle app state. We'll talk more about these next time. Subscribe today and we'll inform you when more reactive content comes out!